Checkpoint inhibitors are now a common treatment modality for metastatic cancer. 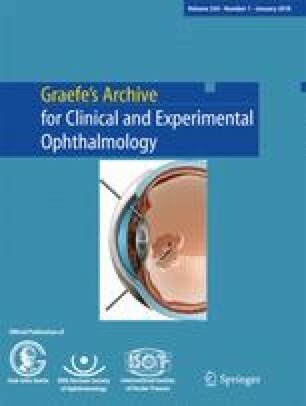 In this manuscript, we describe the clinical features and management of autoimmune non-infectious uveitis induced by this class of drugs. Seven patients undergoing checkpoint inhibitor treatment for metastatic cancer from uveitis practices at three tertiary referral centers. All seven patients developed various severities of ocular inflammatory disease while taking checkpoint inhibitors for metastatic disease. Checkpoint inhibitors may induce autoimmune uveitis. Ocular complaints should prompt an early evaluation by an ophthalmologist. The online version of this article ( https://doi.org/10.1007/s00417-017-3835-2) contains supplementary material, which is available to authorized users. Research to Prevent Blindness, Inc., New York, NY, provided an unrestricted grant to the to the Department of Ophthalmology & Visual Sciences at the University of Utah and to the Department of Ophthalmology, University of Colorado. The sponsor had no role in the design of this study. All authors certify that they have no affiliations with or involvement in any organization with any financial interest or non-financial interest in the subject matter or materials discussed in this manuscript. All procedures performed in studies involving human participants were in accordance with the ethical standards of the institutional and/or national research committee (institutional review board) and with the 1964 Helsinki declaration and its later amendments or comparable ethical standards. For this retrospective study formal consent is not required.